Vídeo de viaje de Costa de Galicia e información sobre Costa de Galicia. Consulta nuestro vídeo de información de vacaciones en HD sobre Costa de Galicia. The Costa Galicia, or the Galician Coastline, is located in the far north western corner of Spain on the Atlantic Coast. It borders Asturias to the east and Portugal to the south and is the longest coastline of all the communities in Spain. It’s a popular destination for Spanish holidaymakers, but is a relatively unknown region for foreign tourists, who are missing out on the one of the most stunning coastlines in Europe. The rugged coastline boasts white sandy beaches and hidden coves, and is dotted with ancient seafaring villages and historical cities. The succulent seafood caught locally is second to none. Inland there are many meadow and forests; the countryside is home to a wide variety of flora and fauna. The area has a farming, hunting and seafaring tradition. Having said that, Galicians have no separatist intentions, they consider themselves very much Spanish, despite the poorer nation attitude from the wealthy heart of Spain. The least populated province in Galicia is Lugo, here you can enjoy a quiet and tranquil holiday in peaceful surroundings. The charming coastal town of Ribadeo is an excellent place to enjoy a relaxing holiday, but with all the facilities needed to make it comfortable. The towns of Foz and Burela in Lugo, are home to stunning blue flag beaches and the larger town of Viviero boasts the most beautiful beaches and scenery. A Coruña is a beautiful historical city, located in the province of the same name. It has some very interesting architectural attractions and incorporates a wonderful harbour. 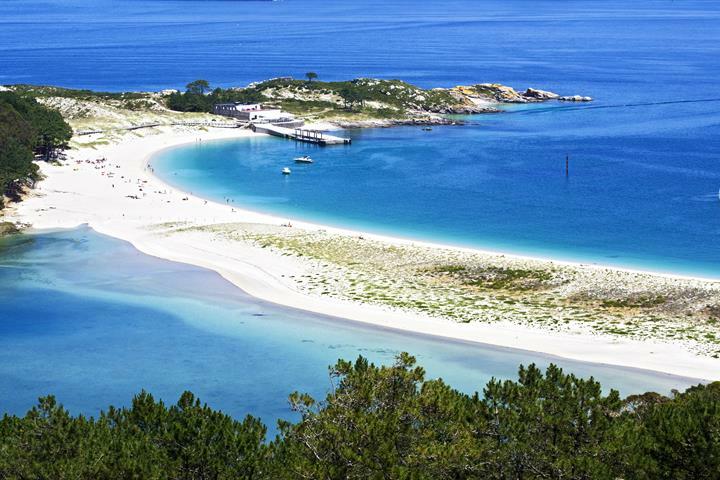 The Costa Galicia is blessed with an astonishing variety of stunning beaches, which range from golden to white sand with seas that can be crashing rollers or almost lakeside calm. The waters of the Atlantic Ocean, which wash these spectacular shores of Galicia, are cooler than the Mediterranean. Galicia is known as the land of a thousand rivers. These flow into the sea at estuaries and bays, or inlets, known locally as ‘rias’, which translates to a river. Geographically the rivers are split into upper and lower rivers. 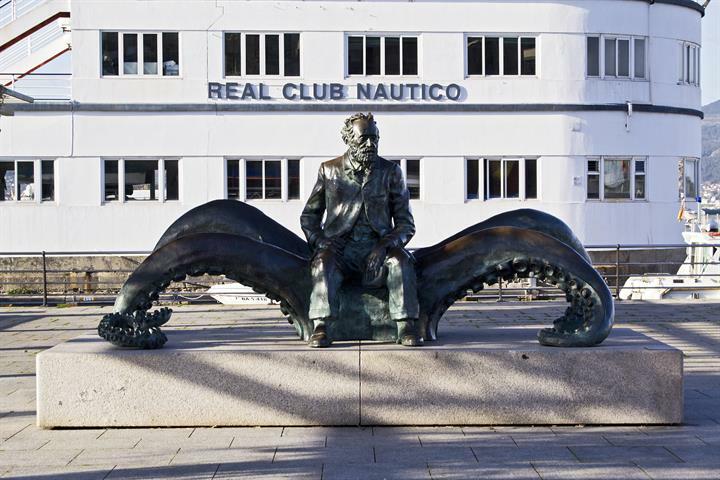 The mid-point between the two is the well-known port of Finisterre (from the seafarers weather report) and whose name means the end of the earth. Finisterre signifies changes in both landscape and climate. The upper rivers are backed by sparsely vegetated rocky mountainous hillsides. Temperatures are also often lower in the north, and the wind blows with a little more force. Generally it is also a little wetter in the north. South of Finisterre the gentler backdrop to the coastline features pine and eucalyptus woods, as well as fields of crops and meadows; its an overall much greener and more benign region. The hills too are more rounded as you travel further south. La visita a las Cíes es una apuesta segura. Descubre el tesoro mejor guardado de la ría de Vigo y emblema del Parque Natural de las Islas Atlánticas. La Playa de las Catedrales es el monumento natural más increíble de la costa gallega y ha sido declarada como una de las mejores playas del mundo. Santiago de Compostela es el destino elegido por miles de viajeros cada año. Descubre todo lo que la ciudad tiene que ofrecer en este artículo. 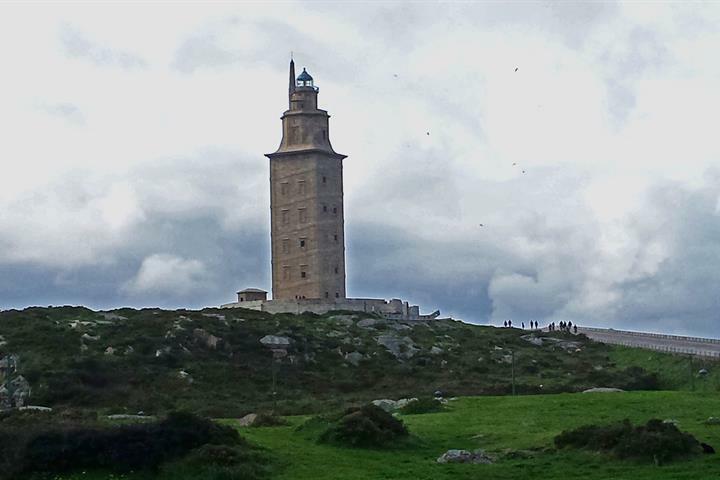 La ciudad más septentrional de Galicia ilumina el Atlántico con el faro romano más antiguo del mundo. Te contamos qué tiene que ofrecerte A Coruña. Joven y cosmopolita, Vigo imprime carácter. Debruzada sobre el Atlántico como Segismundo en su locura, es la urbe más imprevisible de Galicia. 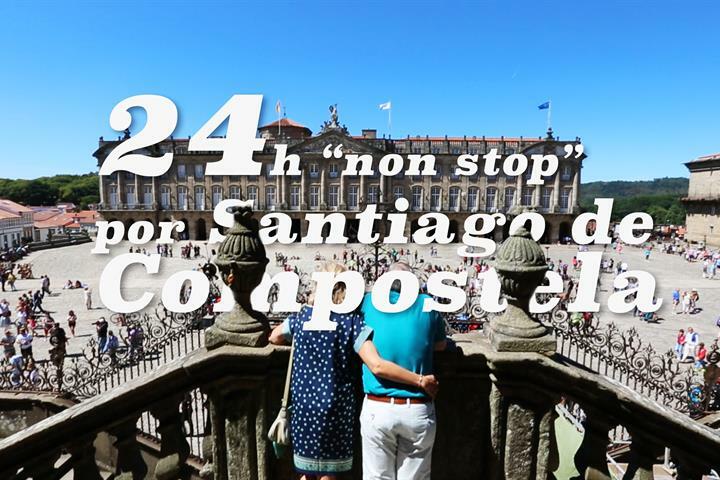 24 horas Non Stop por Santiago de Compostela que te harán experimentar toda la magia de esta bella e increíble tierra. Tiene de todo, pero sigue siendo una ciudad pequeña. Muy bonita, la gente muy amable.